Steve Core (center) has traded in his scale and official's jersey for the role of Senior Director of Competition with MLF. It seems only fitting that the top cop for the soon-to-launch MLF Bass Pro Tour hails from Fort Smith, Ark., a former military outpost with a deep law enforcement heritage where a museum paying tribute to the United States Marshals Service is scheduled to open later this year. Steve Core, who will turn 58 on Feb. 2, was born, raised and still resides in Fort Smith, situated along the Arkansas River, a stone�s throw from Oklahoma. A week after his birthday, he�ll celebrate 39 years of marriage to his grade school sweetheart, with whom he has two grown children. He�s proud of where he�s from and excited for the new role he stepped into last fall as MLF�s Senior Director of Competition. It�s a fancy way of saying Core is the BPT�s tournament director. Core said joining the MLF officiating crew four years ago was one of the best decisions he�s ever made. He served as an in-boat official for MLF Select and Cup events prior to being promoted to his new post. He�ll now oversee everything rule-related from shore. He�s a lifelong fisherman with plenty of local tournament experience, both as a participant and an operator. Running the show isn�t a foreign concept to Core, who employs five people at the printing company in Fort Smith he�s owned for 11 years and the trophy and rewards shop he�s run for nine years. 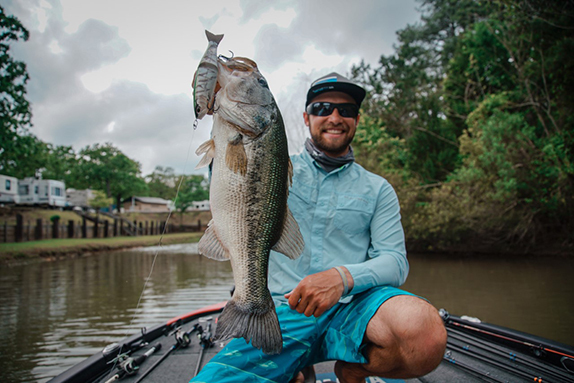 With the eyes of the bass fishing world trained on MLF�s new endeavor, which launches next week, he knows this will be a whole different experience. 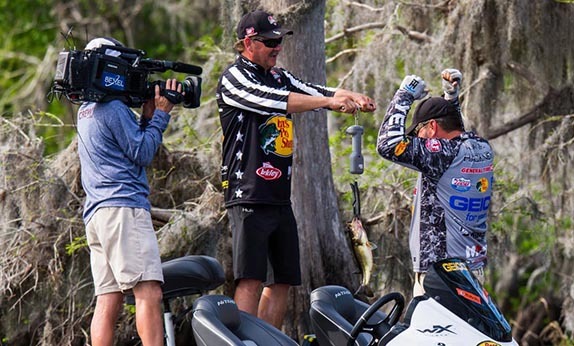 Since the Bass Pro Tour was announced in September, Core�s mission has been to get a rule book developed � it�s done � as well as build and train an army of new officials, who will ensure said rules are followed by the 80 competitors. He works from home half of the time and makes the 100-minute drive to Tulsa, Okla., where MLF is headquartered, a few times each week. 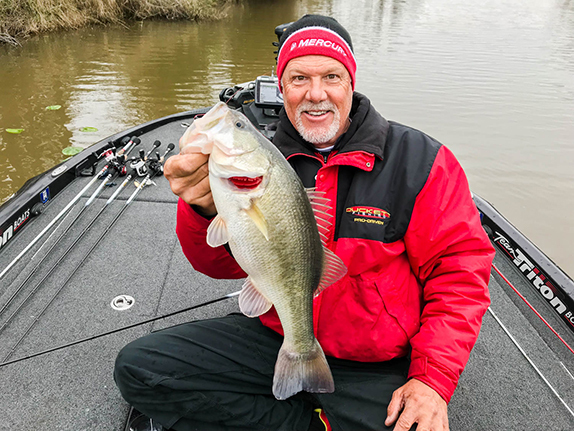 BassFan conducted a question-and-answer session with Core via telephone last week, right before he headed up to Tulsa for a round of MLF Officials Academy. BassFan: What�s your background in the bass fishing tournament scene? Steve Core: I�ve been tournament fishing since I was 17. I�ve been a part of many local clubs and state federation teams. I�ve run several weeknight jackpots on the river. Up until now, I�ve been running the Arkansas River Rat club. I also fished the Skeeter circuit until I started working for MLF, then all of that came to a halt. BF: How did you first get involved with Major League Fishing? SC: A friend of mine, Aaron Beshears, had already been involved the year before (2014). He came by my office and we talked about it. He wanted to know if I�d be interested. At that point in my life, owning two businesses, I had people in position I knew I could trust to take care of the businesses, so I had an opportunity to break away. BF: What was Aaron�s pitch? SC: He told me it�s not like what you see on TV. There�s a lot of work involved and he�s right. It�s not just being a marshal. Being an MLF official, you actually spend more time with the angler because you�re with them from 5:30 in the morning until 4 in the afternoon most days. We don�t have people that are awestruck and caught up in it. We respect the anglers and what they do, and they respect what we have to do. They understand we have a job to do. 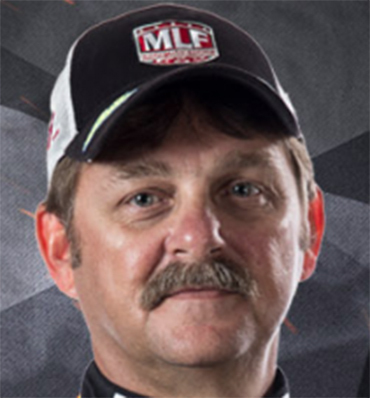 BF: What do you recall about your first in-boat experience as an MLF official? BF: How did you come to be Senior Director of Competitions? SC: [MLF Commissioner] Don Rucks came to me in Florida (at last year�s World Championship) and asked if I�d be interested in a larger role. Over the next several months, we kept talking about it. We finally agreed after they made a formal offer on Sept. 10. BF: Why do you think you�re a good fit for that position? SC: From what they tell me, it�s my demeanor. I don�t get real excited about a lot of things. I guess that�s my age. Being able to handle different situations over the last 4 � years that they�ve seen and how I�ve handled it. I�m getting a lot of good feedback from the anglers. I�ve talked to several since they found out I�ll be in this position and it�s all been positive, even guys I�ve never been around. Luke Clausen called me � I�ve never met him � and he said from what he�s heard they have the right man for the job. To be honest, I�m nervous about it. The eyes of the world are on us. We want it to look like our 10th event, not our first event. BF: How do you achieve that? SC: We�re having a 4-hour meeting with the anglers once they get there. 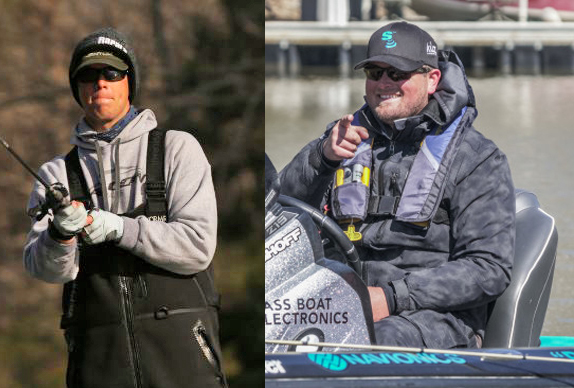 There are 29 anglers that have never fished this format before and Gary and Boyd have been talking with them to help them understand the differences. The officials are getting classroom training and on-the-water training. We�re going to try to do a mock event where the veteran officials will take new officials out and try to trick them. That�s the only way to get them real work experience. If we have a glitch, let�s have it on Sunday or Monday, not on the first day of competition. There are a lot of people putting in a lot of work on this, not only myself. We�re trying to make sure we get everything right. BF: What�s been the most difficult challenge of this job? SC: Trying to get the venues in place. Because of the short turnaround (since BPT was announced), getting the lakes surveyed and getting the towns to have enough room to accommodate us has been a challenge. I�ve actually surveyed some lakes some myself. We�ve had guys in Texas, Missouri, Arkansas and another guy has been to North Carolina and Florida, obviously. BF: What�s a typical day been like for you since taking the new position? SC: First thing in the morning, I�m checking emails, whether from corporate or from anglers. Lately, we�ve been going over rules and the day-to-day operations of getting it going and ramped up for the first event, whatever�s needed. BF: You said you typically get to the office around 6 a.m. CST each day. Is that because you�re an early riser or because there�s just that much work to be done? SC: It�s a little bit of both. I�ve been an early riser my whole life. There�s a lot you can get done before anybody shows up. My employees don�t get here until 8, so I can get a lot done in two hours. BF: What�s on your to-do list before the season gets started? SC: Number one is the rules. After speaking with Gary (Klein) last night, I�m pretty sure we�re there. Also, logistics and getting everybody and everything we need down to Florida. We have to haul eight boats and two trailers down there and 50 officials are coming. We�re just trying to get everybody paired up and lined up. BF: What�s been the focus of training the new officials? SC: We had an academy this weekend and one thing we�re harping on is to be as fair as possible. Everything in the boat is a judgement call based on their training. That�s what we�re getting across to them. A decision could be a very expensive decision for an angler, but don�t think it, do it. We�re trying to be as professional as possible. Don�t celebrate with the anglers, etc. Display the proper etiquette. We just want them to blend into the seat. It�s all about promoting the anglers. BF: Has every slot on the BPT schedule been filled? SC: Not yet, but we�re real close. We still have two or three that are close and a couple just waiting on signatures. BF: Will you be an in-boat official for any BPT or Cup events? SC: Not for BPT events, but the Cup events are still up in the air. If they want me to I have no problem with it at all. I�ll be getting used to being on the bank. I�m used to being in the boat for five or six days at Cup events. I�m hoping for a lot of down time and that everything runs smoothly. BF: What are you looking forward to the most? SC: Really just being part of history. My wife tells me she can�t believe how calm I am. I�m not stressed out, but inside I am a little bit. I�m not going to lie. It�s a lot of excitement and anticipation about making everything work right. We have a good group of people from the anglers to the staff. This isn�t our first rodeo, but it�ll be our first one like this. BF: When it comes to rules infractions and/or protests, will you have the final say? SC:It will be a committee on a major infraction. It�ll be myself, either Gary or Boyd and Todd Walker (director of operations). The three of us will get together and discuss it. Instead of one man making a decision on something serious, we want to make sure we do the right thing.